Delivery Assurance is an internal Objectivity process of evaluating the maturity of project delivery in an ongoing project. It covers different areas like project management, business analysis, testing and development. You can see the process on the diagram below (all pictures can be opened in separate tab in case of readability issue). Finally, the follow up should take place and actions are to be reviewed. The Delivery Assurance should be carried out in a cycle (2-3 months) for all ongoing projects. However, because of time limited, it is usually conducted for the most critical projects. Summary with some general information about the project, date and a dashboard which shows overall project condition and summary of the results for all the areas. We’ve come across some problems regarding the use of excel form for the Delivery Assurance process. First of all, we had an issue to store the files in one place, and then, we found it difficult to compare the results of several DA for the one project, which were done in different project phase. Obviously, we want to be able to compare the results to see if something was improved due to some actions. Another issue was to track the actions which were stored in many excel files. We struggled with such problems till today. We’ve decided to move the process to Jira and to utilize Xray for that purpose. It would help us to solve one of the issue mentioned below with storing the DA results in one place. 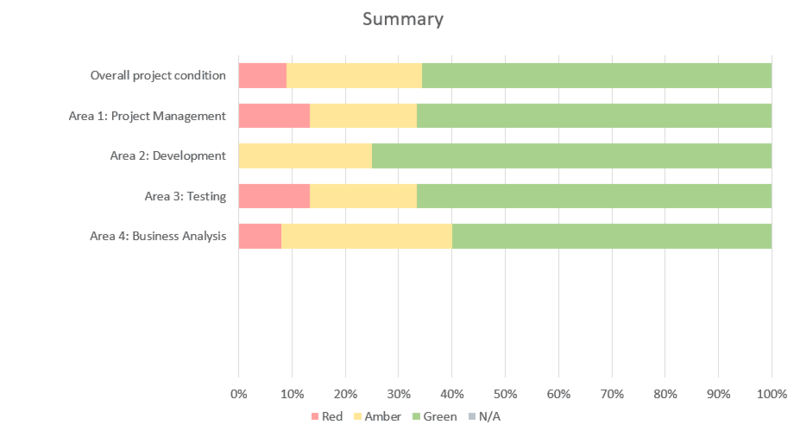 It’s not a standard Xray usage, as it is primarily a test management tool. However, let’s give it a go. In order to do so, a new jira project was created. The project is dedicated for DA process. 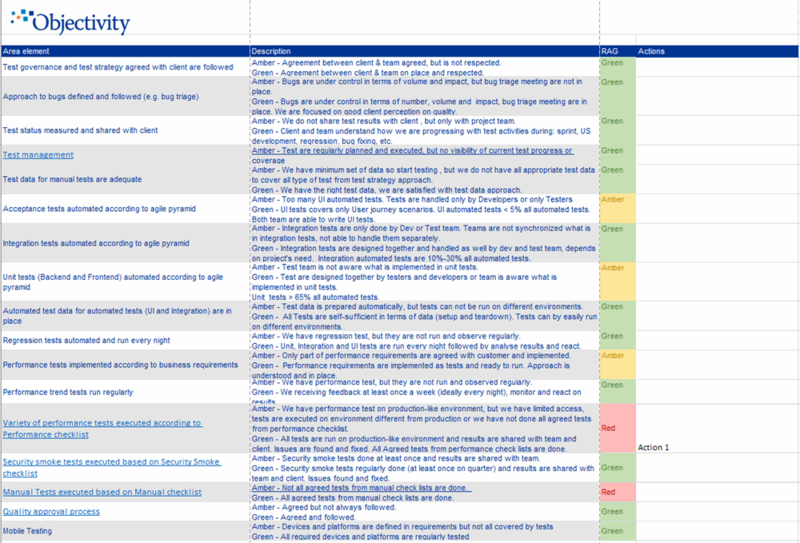 We’ve mapped the above process to the Jira and Xray issue types. The general idea is shown on the diagram below. Test issue was used to represent particular questions from excel. 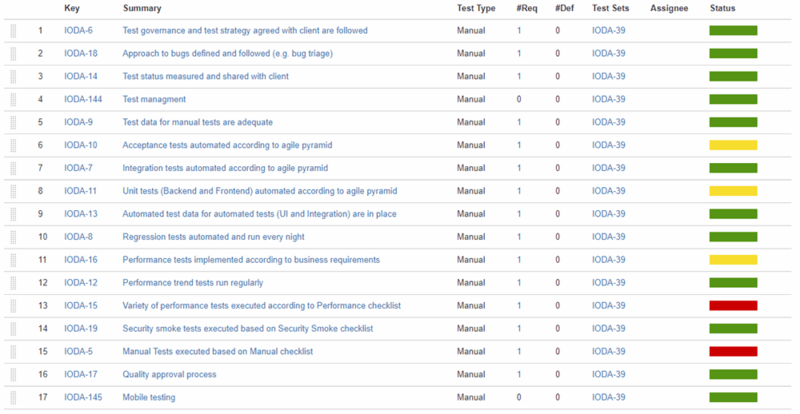 Then, Test Set issue was used to group the questions by area (PM, BA, TEST, DEV). Thanks to that, we achieved equivalent of DA excel template in Jira. Please look at the picture below and compare it with the list of questions in excel shown above. Then, we decided to use Story item to represent particular DA process for selected project which will be grouping all DA results. Test Execution items were used to allow DA process execution. The Test Executions are created based on previously prepared Test Sets and are linked to the story for tracking purpose. 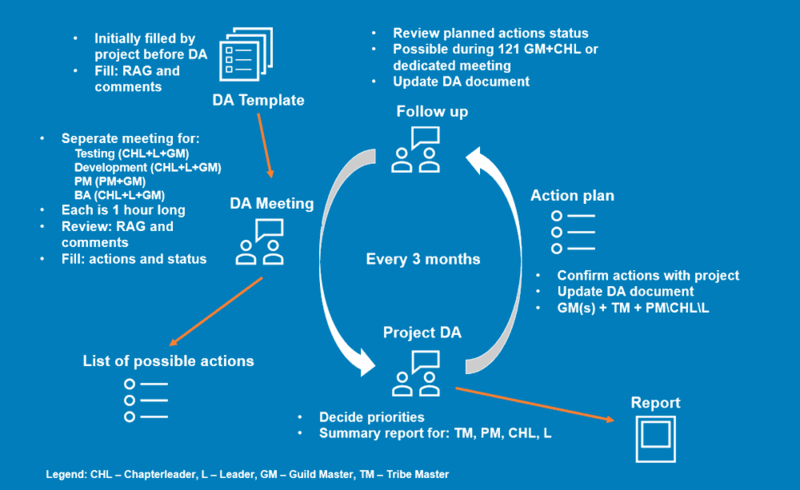 Next, DA process is run by means of executing Tests corresponding to each area of the project Delivery process. Proper test execution status is set as RAG status substitute. Below, you can find statuses we utilize and the mapping between Xray and RAG statuses. Sample DA execution in Xray is visible on the picture below. It can be compared with the excel version above. 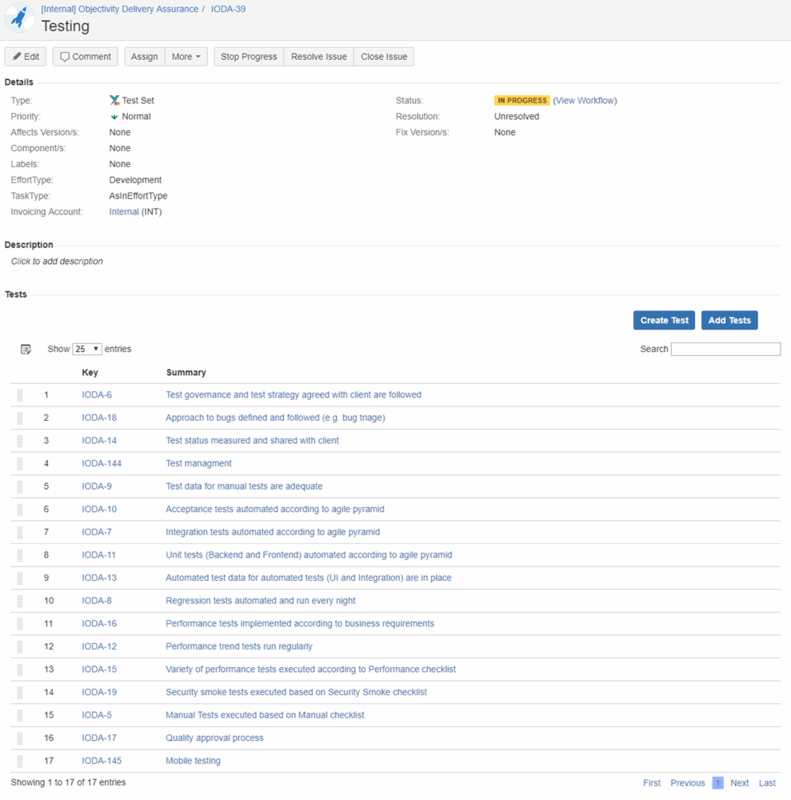 The Sub-task issue type of Test Execution was created, whenever there is an action which should take place after DA. 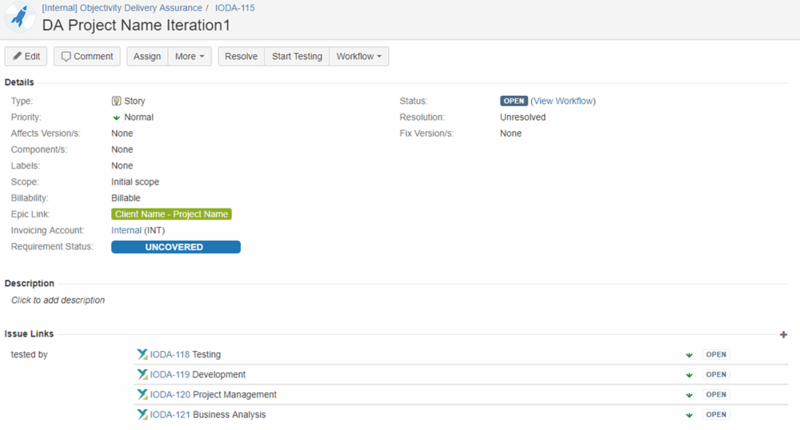 The actions tracking was significantly improved thanks to Jira task usage. Proper EffortType (PM, BA effort, Testing or Development) should be set to allow easy action tracking by area. 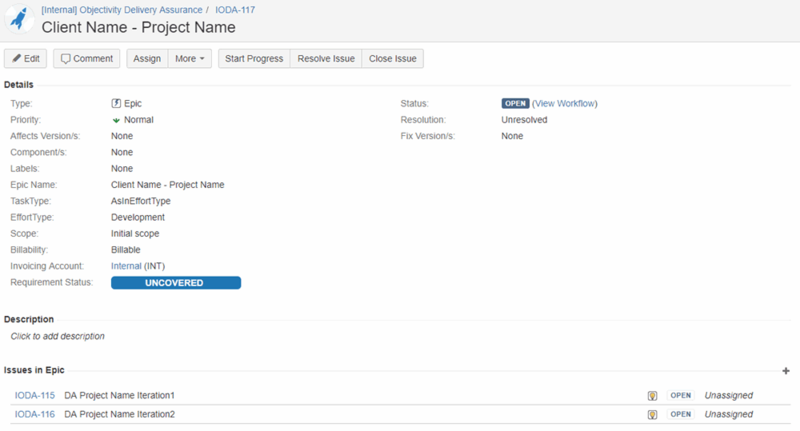 It is also used to present the action on jira dashboard, which is shown below. There is one more thing – epic issue type is used to group all the DA for a particular project. 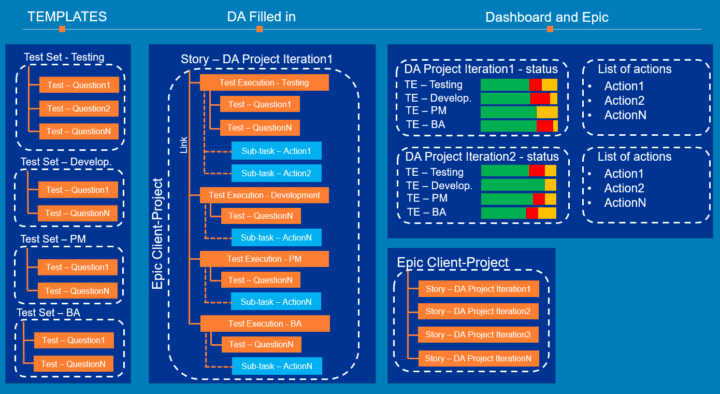 A sample jira dashboard which shows the results (a summary and a list of actions) of two DA for the same project. Thanks to the dashboard, it is possible to see all the actions at once. It also allows to compare the results between several DA executions. Traditionally, since the year 2006, 28th January has been celebrated as International Data Protection Day. At Objectivity, we celebrate it as Privacy Protection Day. Our motto is: “Privacy is Value”.